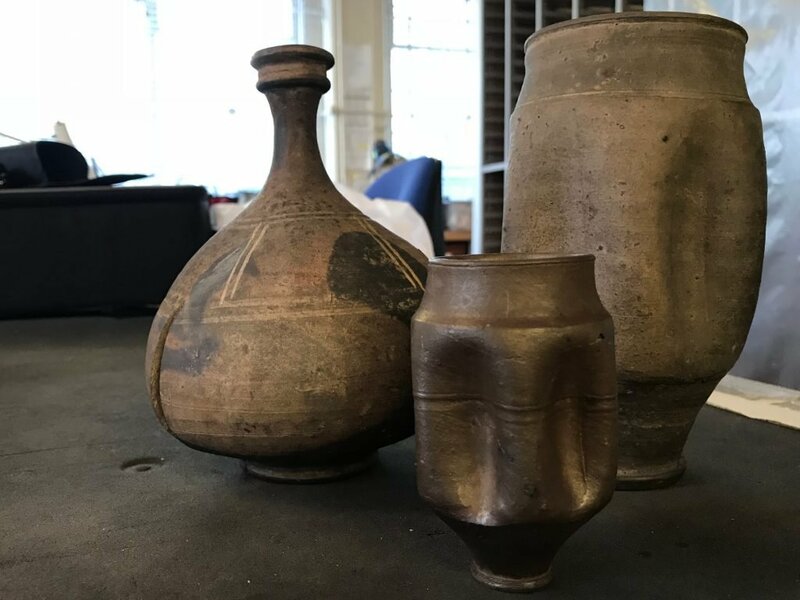 Roman pottery first excavated in the New Forest 170 years ago has been given a new lease of life thanks to high tech modelling. Three dimensional digital models of the artefacts have been added to an online museum being curated by New Forest National Park Authority archaeologists. This allows the public to view them in detail for the first time in over 100 years. The pottery is from the John Durden collection, which consists of 13 artefacts ranging from beakers to jugs that have been in storage at the British Museum since the 19th century. These pots were originally excavated by Reverend J Pemberton Bartlett in 1852 from a Roman pottery kiln at Crock Hill, Godshill. Dating from between AD260-370, the pots were wasters that warped and broke during the firing process and were then thrown away by the Roman potter. The pots were digitised through a technique called ‘photogrammetry’, where detailed high resolution photos are stitched together to produce interactive 3D models. They are of such good quality that you can even see the Roman potter’s fingerprints in the clay. Lawrence Shaw, New Forest National Park Authority archaeological officer, said: ‘This work has allowed us to bring to life two important parts of the New Forest’s history. Firstly, we have provided access to handmade items that were made in the New Forest nearly 2,000 years ago. Secondly, we have re-visited some of the first “archaeological” work undertaken in the New Forest. Photographer and volunteer David Wheeler, said: ‘It was a pleasure to spend a day volunteering for such a fascinating and worthwhile project. I have to say I am more used to photographing people than 2,000 year old pots, but it was great to try something new and learn some new techniques as well as help to deliver this project.